Let’s visit how to write a resume. Your resume may look like a clean sheet of paper with merely a name and address on top, a student resume. You did do internships, didn’t you? Include all of your previous internships and student activities on your resume as work experience. This can overshadow the fact that you’re a recent college graduate. Say, if you were the secretary of the bad-mitten club, include that. Or if you were the speaker of the student government, throw that in. Hopefully, you’re not trumping up stuff from 1969; leave that out! Just make sure all of your accomplishments are there. You shouldn’t even bother mentioning you were a homemaker or a college dropout in a different life on your resume. You can tell them in an interview, but only if they ask, and only if you must. Don’t perjure or misrepresent yourself because an employer could verify that information easily. A one-page resume is still ideal. Business people simply don’t have time to read novel-length manuscripts about your life (and you certainly don’t have the time). So make their lives easier, not to mention making it easier for you to get the job. And, Ugh, don’t type your resume and cover letter in fancy smancy, Lucinda Handwriting type fonts–or anything with “curly ques” for that matter. Courier and Times New Roman are professional looking fonts that are universally accepted and expected. These fonts show that you are at the top of your game, despite being a fresh college graduate. They also show that you follow the rules. Employers are skittish about hiring people who they feel constantly change the “normal” order of business. Resume format is important. 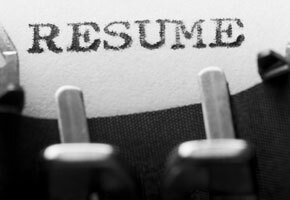 Make your resume list style, not essay style. This form will make your resume easier to scan quickly for the busy employer. So here’s how to write a resume. Jan. 2007-May 2007 – The Hart Times newspaper: As a news and feature writer for The Hart Times, I was assigned stories each week for one or both sections. The news’ section required the writing of events, student meetings and profiles of faculty and staff. The feature’s section involved in-depth, investigative pieces and off-the-beaten-path news stories, which I often pitched. Do you see how easy the last one was to read? Not only that, each sentence began with a verb. Using a verb will get the resume reader in the right frame of mind.